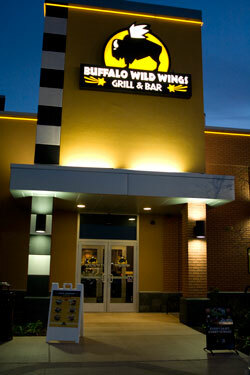 Buffalo Wild Wings Grill & Bar, located on Gosford Road, opened its doors on Oct. 24. The minute I walked into Buffalo Wild Wings, I knew I was the wrong person to do this review. I should probably first explain that bad-theme restaurants are a not-so-guilty pleasure of mine. I wanted to do this review partly because I love eating in tacky, visually offensive restaurants and partly because I wanted to see what all the hype was about. 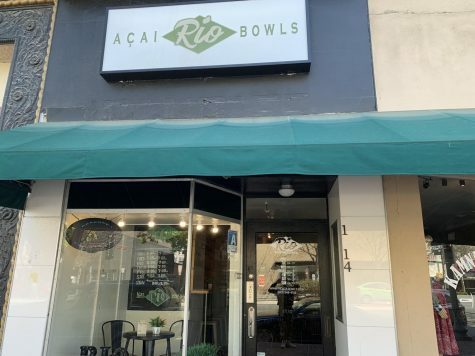 I’ve driven by their new Bakersfield location on Gosford Road a few times and there’s always a line out the door waiting to get in. One of the waitresses revealed to me that the night they opened, Wild Wings had a 2 1/2 hour waiting list. These wings better be damn good. Once inside, the first thing you notice about Buffalo Wild Wings is the decor. The walls of the restaurant are literally covered in televisions. The restaurant boasts an astonishing 44 TVs (not including the ones in the bathrooms) of every size, and they are all tuned to coverage of various sports. The small spaces that don’t have a wall-mounted TV are crammed with jerseys and other athletic memorabilia. This is probably a sports fan’s dream, but for the rest of us it’s just alarming. Combine that with loud music and flashing neon signs and the result is overwhelming. I love garish, but everything about the inside of Buffalo Wild Wings seems to be specifically designed to induce seizures. I hoped the food would be worth the panic attack. The menu at Wild Wings is a collection of classic bar food. They’re known for their wings, but they also have ribs, sandwiches and burgers. They offer warm, stadium-style mini-pretzels as an appetizer, which I thought was really cool. I was tempted by the mini-chili dog combo, but decided on the classic wings, because that’s what they’re named for. The real fun/difficulty with ordering wings at Buffalo Wild Wings comes with picking the sauce you want. This task is so difficult because they have 14 different sauces to choose from. I decided on Honey BBQ because I love BBQ and it’s hard to screw up. I also got a basket of onion rings because they’re only $3 during Happy Hour and because I love heartburn. My food came surprisingly fast but, sadly, wasn’t very good. The sauce on the wings just tasted like any generic BBQ sauce. There was nothing surprising or special about it. If these are the wings that has made Buffalo Wild Wings so popular then I must have gotten a bad batch. I would much rather head down the street to Wingstop. My real disappointment came with the onion rings. They were bland and mushy and not worth the regular price of $5.95 a basket. You could probably get better onion rings in the freezer section of your local supermarket. I was tempted to order dessert after my meal, but was afraid that it would be just as beige as the rest of the food. Overall, Buffalo Wild Wings is great if you’re there for sports, but bad if you’re there for the food. I would definitely recommend it for a place to watch Monday Night Football, but would recommend a few other places if you want good wings.